Corrosion Inspection and Monitoring helps readers better understand how to effectively monitor, inspect, and evaluate corrosion in order to minimize its costly, destructive impact on processes and equipment. 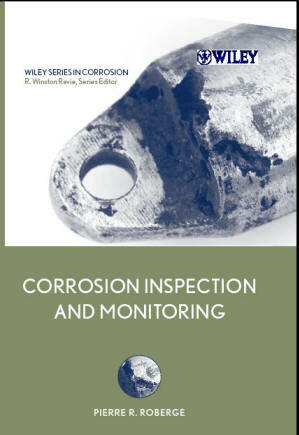 It provides comprehensive information on modern techniques and methods for monitoring and inspecting corrosion. Chapter 1. Corrosion and its Cost in a Modern World. Chapter 3. Maintenance, Management, and Inspection Strategies. Chapter 5. Non Destructive Evaluation (NDE). An ideal and affordable text for engineers and maintenance professional with an interest in corrosion monitoring.